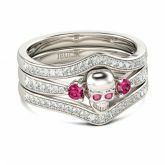 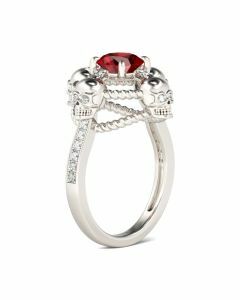 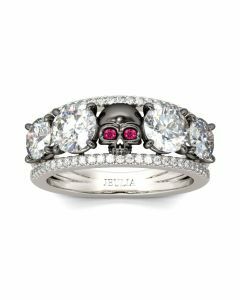 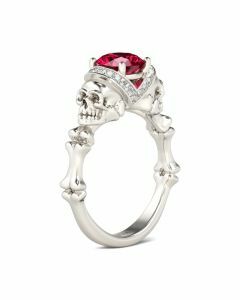 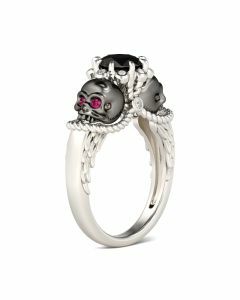 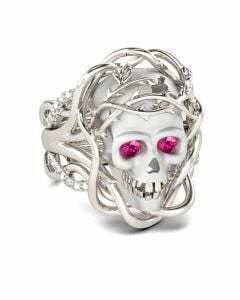 The fancy engagement ring features a skull at the center flanked by two round fuchsia sapphires. 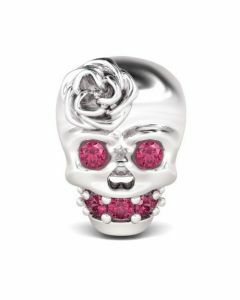 The eyes of the skull are embellished with two smaller round fuchsia sapphires. 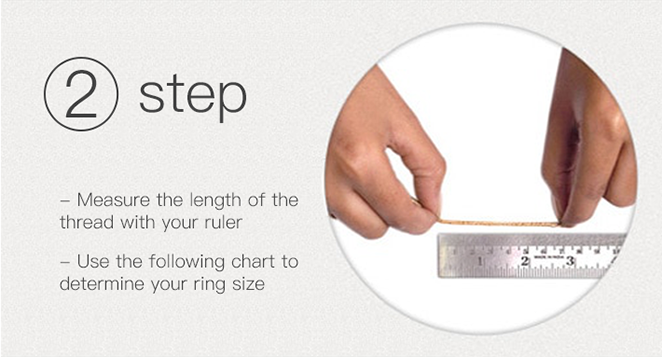 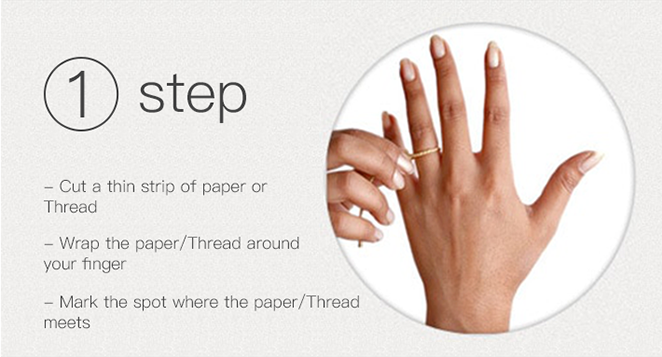 The shank and the matching wedding bands are lined with round stones for a gorgeous effect.